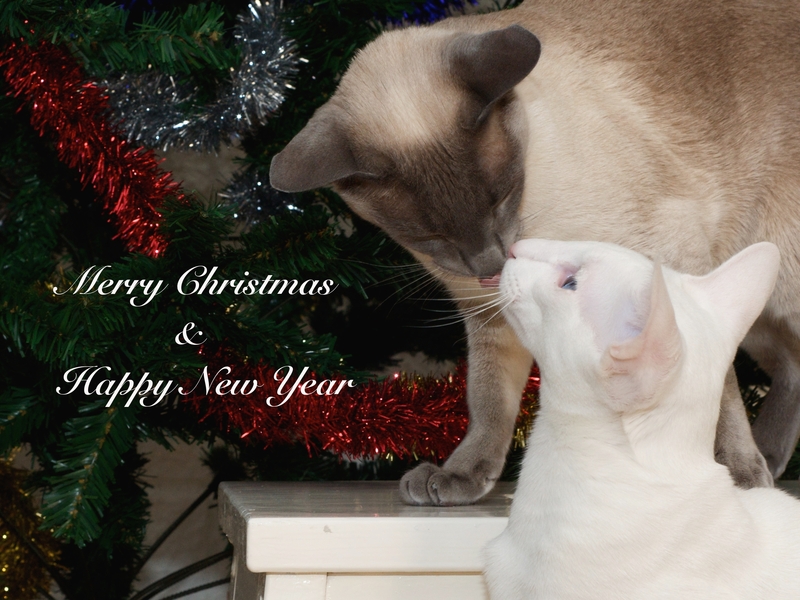 The cats, Joakim and I wish you a merry Christmas! I like to draw/make my own Christmas cards, and this one is a combination of the one I drew in real life, and then fixed it a bit in Gimp. I am not that good with image editing and photoshopping, but I am happy with the result.